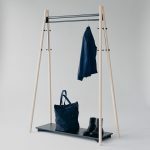 Kiila is a family of useful and versatile small furniture objects designed with hallways and entrances in mind. 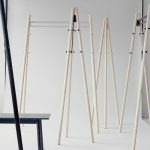 In homage to Alvar Aalto’s vision, the Norwegian designer Daniel Rybakken has created not a series of individual pieces, but a system of construction: hefty wooden legs connected by wedge-shaped metal joints, left purposefully visible. 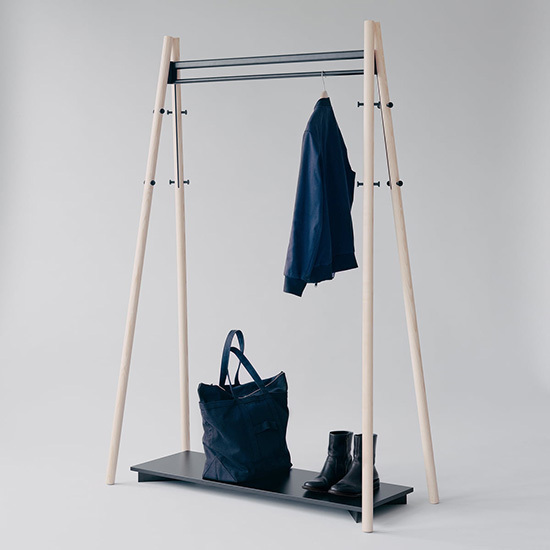 The name itself draws attention to the design: Kiila is Finnish for “wedge.” Secured with high-grade polyamide pins that double as hooks, the sturdy Kiila Coat Stand, and Coat Rack can carry serious weight, while the multipurpose Kiila Bench provides a simple and elegant way to organize space. 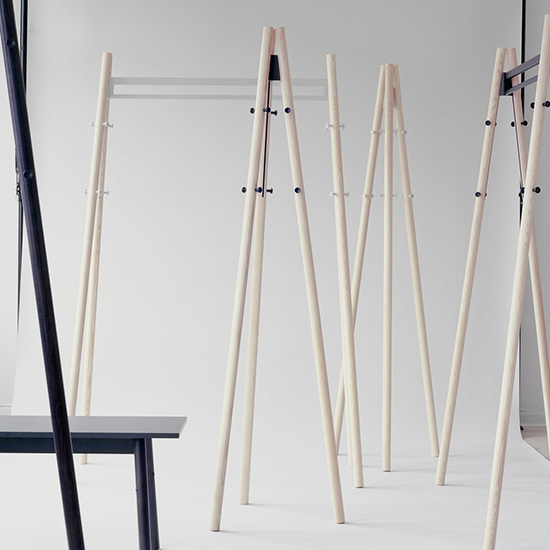 Beautiful supporting elements for any interior, the Kiila pieces are built to last, a quality visually articulated in the strength of their legs and robustness of their parts.